Tax filing season is now open for 2017. The Internal Revenue Service (IRS) is now expected to process a whopping 157 million individual tax returns this year. Will you be one of those filing the tax returns? Lodging Tax returns can be a hassle if you are not sure how to go about it. Some people just guess or estimate their tax deductions that can ultimately land them in a soup. And some fail to declare overseas income. Some even over claim their tax deductions for residential rental properties and so on. And some entrepreneurs fail to show any purchases as they do not keep the records efficiently. In any case, tax filing does include some complexity. Those who hail from a non-finance background do find it tough, especially to make sense of all the records and the rules applicable to tax filing. Additionally, it takes up much of your time, having to spend on accounts instead of your core work or business. One needs an able and experienced accounting firm as a partner or a guide to go through the process seamlessly. Universal Taxation is a comprehensive tax consulting company based in Perth, Australia that is well-versed with the rules, policies, and guidelines of tax return filing. We have filed 1000+ Tax Returns are helping people for 9 years now. The firm has been personally helping several businesses of all sizes, lodge their BAS, GST and PAYG return since years. The company assists clients in fulfilling their needs by adopting personalized tax strategies tailored for their business, with utmost transparency and dedication. After understanding the requirements, the firm takes responsibility for all decisions related to taxation and helps the firm benefit the most from their situation. There are millions of tax codes and regulations involved in the taxation process. We are up to date on the latest codes and regulations. Sometimes some common deductions are levied and can be claimed. 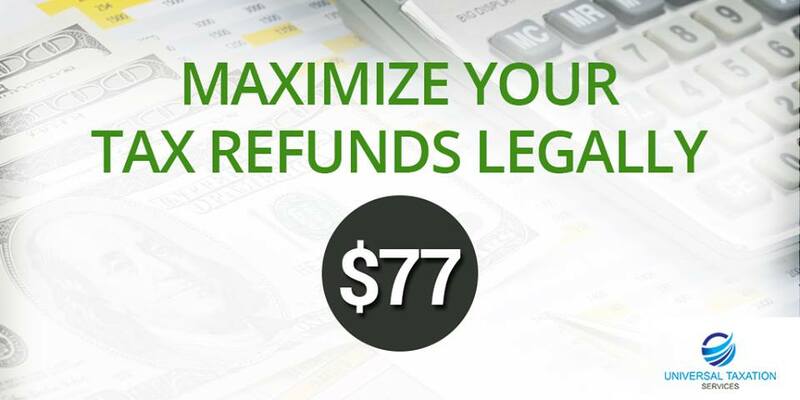 As tax professionals, we make sure you’re getting the deductions back. The process is frustrating and time-consuming. We help you save a great deal of time and using your information, we alleviate all potential frustration. We help you avoid mathematical mistakes or status errors, filling out information for each section of the form accurately. No matter the data used to file out tax forms, your inexperience may result in mistakes or omissions. We notice errors and correct them immediately. You might be chosen for an audit by IRS and we can help you to be prepared for an audit. We provide guidance on financial decisions and matters so that you stand to benefit more than ever. We offer the right investment plans for your business scenarios, while reducing the tax burden for present and future. Ready for the Tax Return? Contact Universal Taxation to know more how to get started. Posted in tax-return-promotional and tagged affordable tax return, file tax return, lodge tax return, return, tax, tax expert, tax return in perth.